SEOUL, Jan. 3, 2013 –- LG Electronics (LG) announced the launch of its 100-Inch Laser TV (Model: HECTO) featuring both Smart TV and Digital TV capabilities. An impressive home cinema system, the 100-Inch Laser TV includes an immersive screen and an external Ultra Short Throw (UST) projection unit capable of displaying images at extremely short distances. The unique system offers Full HD 1080p resolution and incredible contrast as a result of LG’s advanced laser-based illumination system. 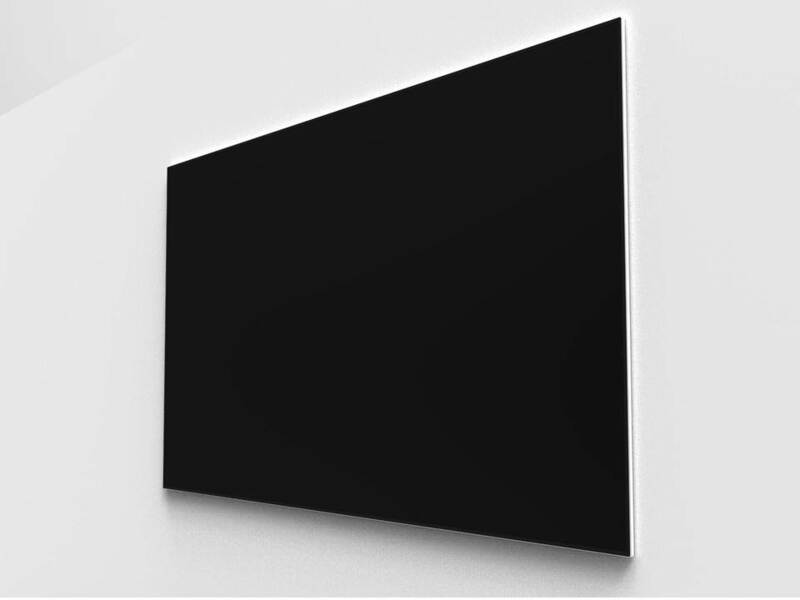 The high-contrast images displayed on the 100-inch screen offer the closest sensation to a cinematic experience. In the past, considerable distance was needed to project such large images. The required space or “long throw” made projecting large images impractical at home. However, by utilizing UST projection unit. The device allows users to place the lens a mere 22 inches (approximately 56 centimeters) from the screen. LG’s Laser TV offers Full HD resolution at 1080p and 10,000,000 : 1 dynamic contrast ratio, rendering vivid and crisp images that pop out in dark as well as lighter environments. The Laser TV supports LG’s Smart TV platform, which includes all the impressive features from its premium models, including Smart World, LG Cloud, Magic Remote and support for Intel’s WiDi technology. The system also includes a digital TV tuner and consumers can just as easily access SNS platforms such as Facebook and VoD services like Netflix in LG’s Premium Content zone. It can also manage personal content, such as pictures, home videos and music libraries via LG Cloud. LG’s Smart TV platform provides a customizable dashboard and smart connectivity features that streamline access to content from smartphones, laptops, storage devices and the internet. With built-in WiDi and Wi-Fi, content from any compatible external device can be wirelessly shared with the TV. Navigation of services and external devices via the dashboard is made easy with the Magic Remote which utilizes four modes of control – voice, gesture, pointand wheel. 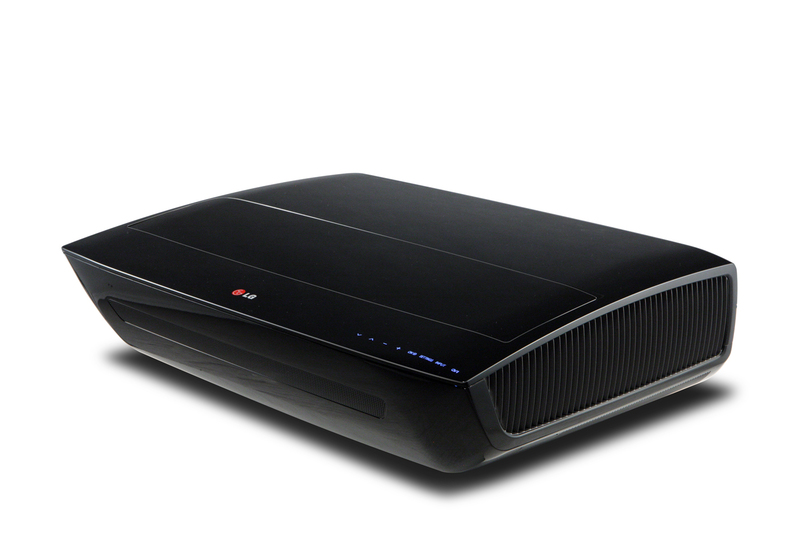 LG’s Laser TV has two 10W built-in speakers embedded in the projection unit to support virtual surround sound for a more authentic cinema experience at home. The device itself features LG’s understated yet stylish Dynamic Arc Design, creating subtly curved surfaces that reach a mere 5.7 inches in height. The 100-inch screen adopts LG’s CINEMA SCREEN Design philosophy which makes it suitable for any interior décor. The laser-based illumination system uses specialized lamps embedded in the projection unit, delivering superior picture quality while also eliminating the need for mercury. This system can run for 25,000 hours without replacement, five times longer than mercury-based lamps. Eliminating mercury is one way, among many others, that LG is working to make its operations more environmentally friendly, while providing the highest quality consumer electronics. The Laser TV also exceeds expectations when used for business applications. Its versatile features make it a prime candidate for video conferencing and advanced multimedia presentations. Video conferencing on a seamless 100-inch screen has the advantage of making all participants feel more involved and close by.